Read original piece in Spanish here. [Yesterday] Rigoberto Juárez Mateo was arbitrarily detained and became another political prisoner held by the state of Guatemala. 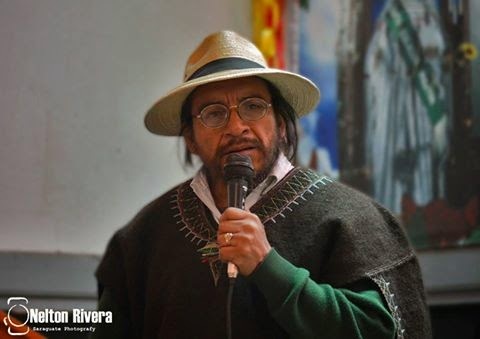 Rigoberto Juárez is a representative of the Plurinational Government (Gobierno Plurinacional) of the Q’anjob’al, Chuj, Akateka, Popti and Mestiza peoples, from the 16 municipalities of Huehuetenango. Juárez is criminalized for defending land and water. A warrant signed by a competent judge was not presented at the moment of arrest, carried out by officers of the National Civil Police. 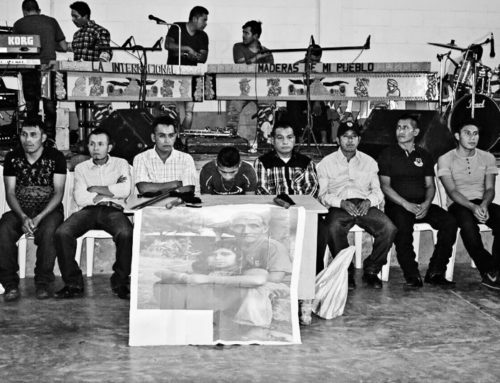 Domingo Baltazar was detained together with Rigoberto, both of whom are members of the Community Authority of Santa Eulalia, Huehuetenango. During the violent arrest, lawyer Ricardo Cajas was physically assaulted when he asked the officers to identify themselves and a legal arrest warrant for Rigoberto Juárez be presented. 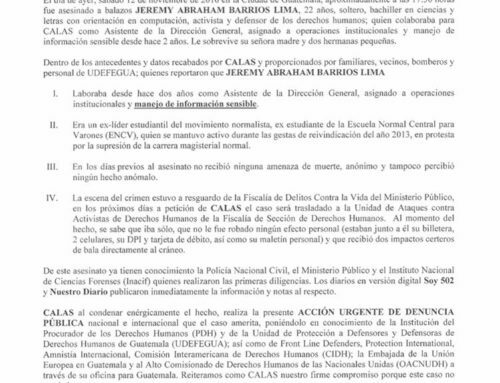 The detained community representatives had traveled to the capital to lodge an official complaint for rights violations committed against the ancestral authorities and various journalists on March 19 of this year, committed by Diego Marcos Pedro, members of the municipal government, and others with ties to the authorities. 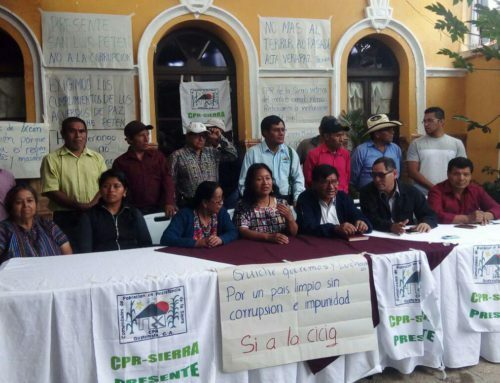 The Q’anjob’al ancestral authorities were assaulted by members of the municipal government on Thursday, March 19 during a public activity to re-open the Community Radio Snuq’ Jolom Konob. 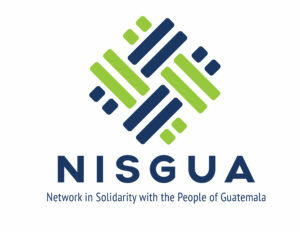 For four hours, they were verbally and psychologically assaulted and threatened, leading them to travel to the capital to lodge complaints with the Attorney General’s Office through its Crimes Against Human Rights Defenders section, as well as with the Office of the Human Rights Ombudsman (PDH), and the Office of the United Nations High Commissioner for Human Rights in Guatemala. 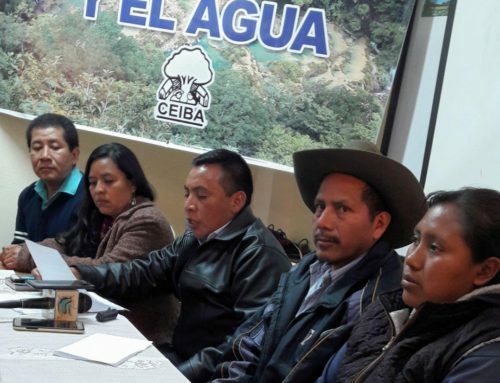 On multiple occasions since 2011, representatives of the Plurinational Government have traveled to the capital to denounce atrocities committed by hydroelectric companies operating throughout maya Q’anjob’al territory. 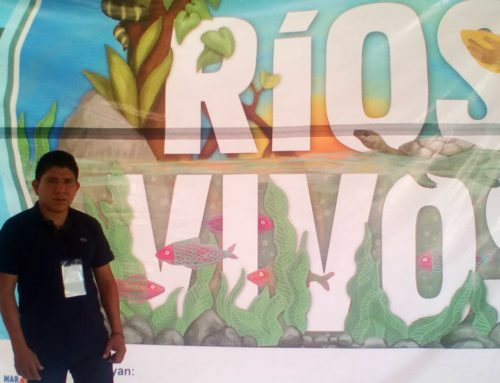 Specifically, [they have denounced] the hydroelectric company Hidro San Luis in Santa Eulalia, who together with municipal leaders, are threatening the rights of the communities in opposition to the hydroelectric project. This arbitrary arrest adds to a long list that has been growing since 2012, as the Government and the companies increasingly use arbitrary arrest as a strategy to break up the peaceful and organized opposition that exists to this model of extraction and displacement.